Thinking of a creative Easter egg hunt idea for this upcoming holiday? I have a very simple solution for you. When I head out to stock up on hunt supplies, I always make sure it’s something I will be able to use over and over again throughout the month for after school snacks. So what do I fill my plastic eggs with on the big day? Welch’s® Fruit Snacks! Made with real fruit, Welch’s® is America’s Favorite Fruit Snacks brand and a simple solution for my already super busy life. 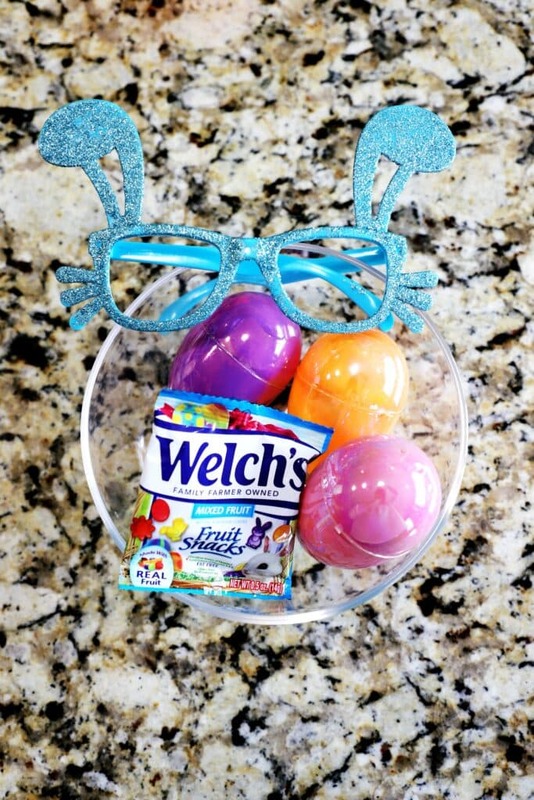 While, I do allow my children to indulge in sweet treats from time to time, I rather not fill an entire backyard with candy and Welch’s® Easter Fruit Snacks are a fun alternative. The running joke in my house is “every day is a weekend for the Sweeney kids.” It always feels like a Friday! Whether we’re going to a birthday party, the movie theatre and a holiday or school event. We are never in short supply of something to celebrate and Welch’s® Fruit Snacks are perfect when we’re on the go. 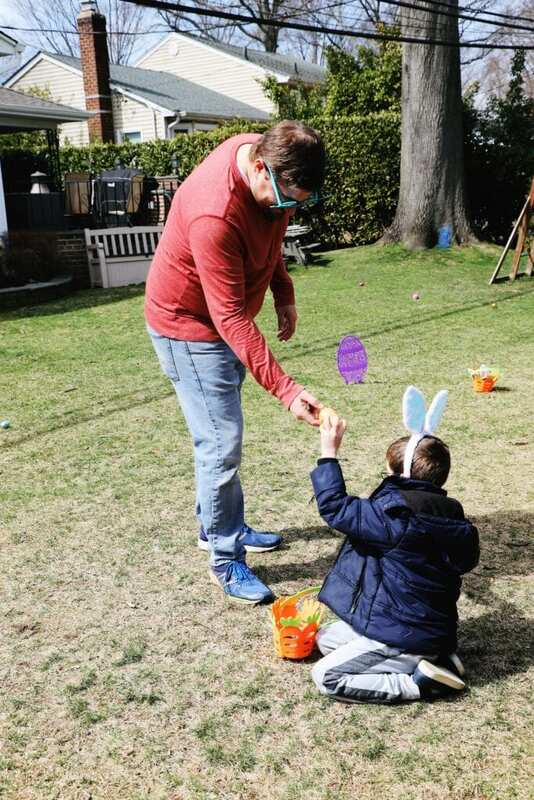 So, how can you set up your Easter egg hunt for your family? It’s simple. Follow these easy steps and you will have your event ready to roll in no time. The thing about holiday supplies is you need to plan in advance. Be sure to stock up a few weeks in advance, otherwise you won’t have any of the essentials and will find yourself rummaging through scraps. 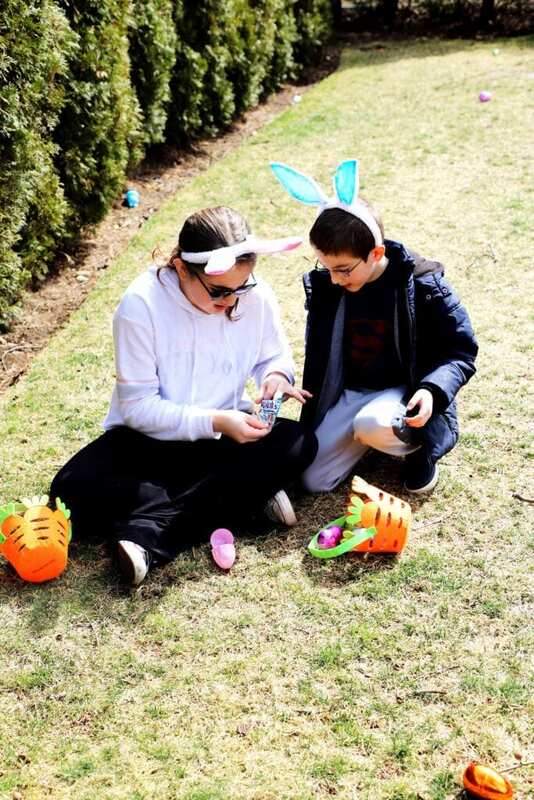 For around $15 or so, you can stock up on Easter baskets, empty plastic eggs, bunny glasses, bunny ears, bunny jewelry, and everything else in between. This year, I even picked up some festive yard decor. All way within my budget. 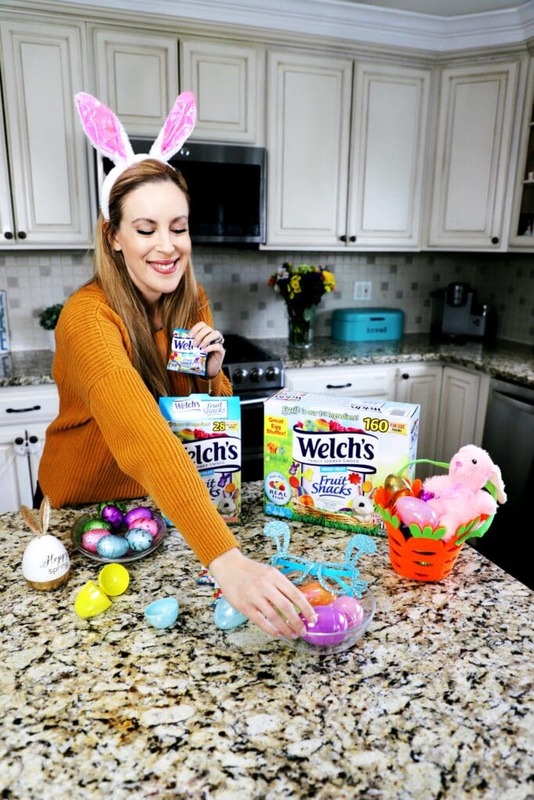 We tend to have our pantries stocked with Welch’s® Fruit Snacks all year long, but did you know that during this time of the year there are Easter-themed packages and pouches available? Yes! I’m talking about fun Easter shaped fruit snack pieces think chicks, bunnies, flowers and eggs. Even better, they are made with fruit as the first ingredient, gluten-free and contain no preservatives. Triple score. Absolutely perfect for stuffing Easter eggs! I usually assemble just enough eggs to stuff the baskets that I own. Since I have three kids that means three baskets. I usually try to buy a variety of plastic eggs because I want the kids to have as much fun as possible. That way, the kids can try to find them all and then trade amongst themselves once it’s all over. It’s the small moments that matter in my family and I Iove to watch these siblings quietly huddle together and work their magic. It’s truly so very special for me as their mom. 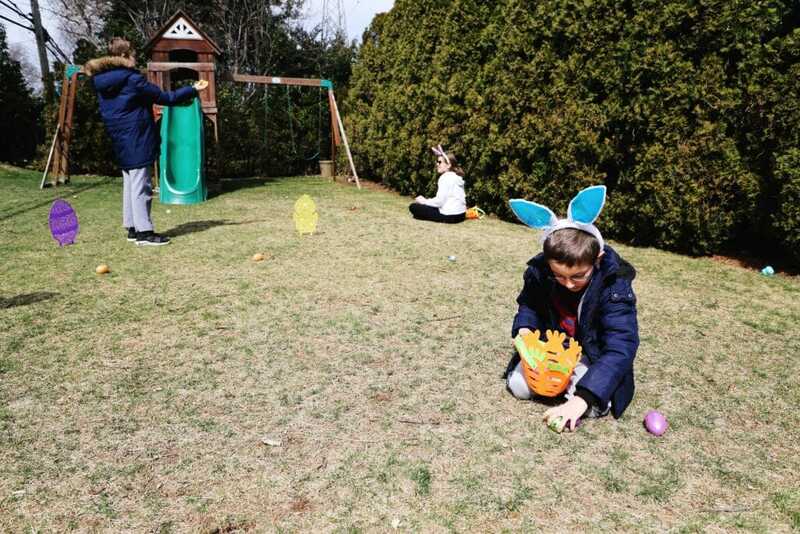 In the end, we are very lucky because we get to take part in two different Easter egg hunts during the holiday. One private one in our backyard and then one giant one with our church after mass with thousands of eggs. They both create very special memories for us and we look forward to both events every single year. With our little family event, our traditions are simple. I hope they offer you a bit of inspiration so you can create new memories of your own. No matter what you do, as long as you’re doing it as a family, it’s all that matters. 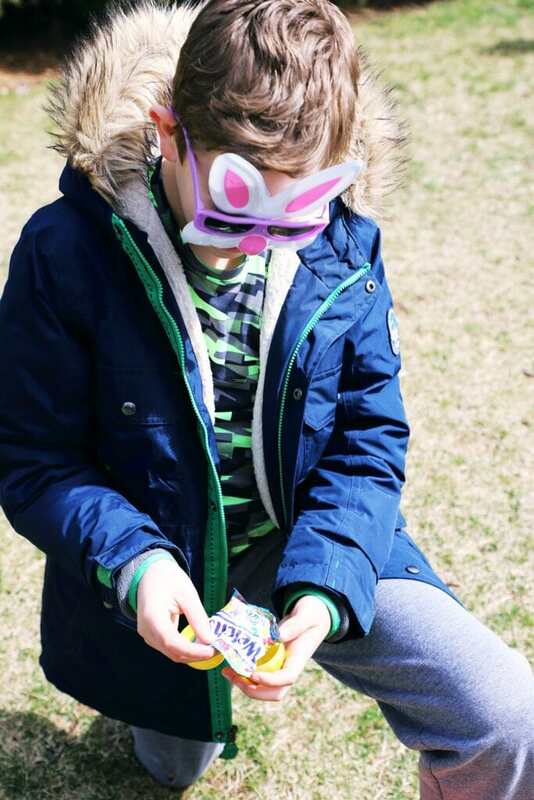 Welch’s® Easter Fruit Snacks are available nationwide at Walmart, Target, Walgreens, CVS, Rite Aid, Dollar General, Family Dollar, BJ’s, Costco and more as well as online at Boxed.com. Visit here to find a store near you!